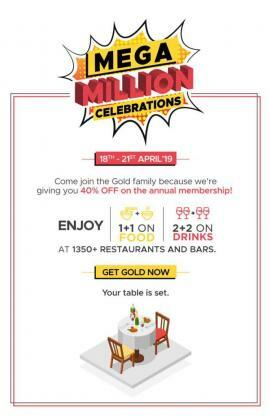 Zomato Mega Million Celebrations - 18th-21st April 2019. Come and join our GOLD family because we are giving you 40% off on the annual membership. 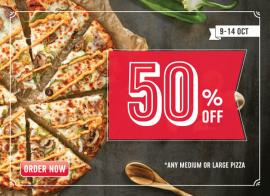 Papa John's Pizza - Everything at Half Price. 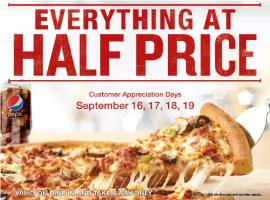 Customer Appreciation Days. December 9, 10, 11, 12. 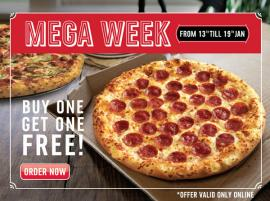 Valid on dine in and take away only. 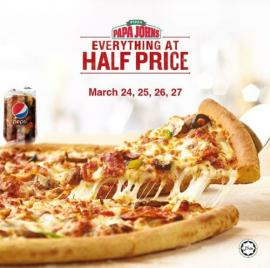 Papa John's Pizza - Everything at Half Price. Customer Appreciation Days. September 16, 17, 18, 19. 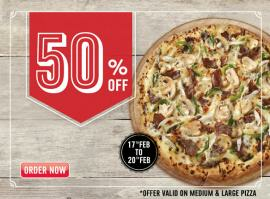 Valid on dine in and take away only. 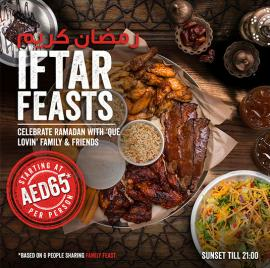 Famous Dave's - Iftar Feasts. 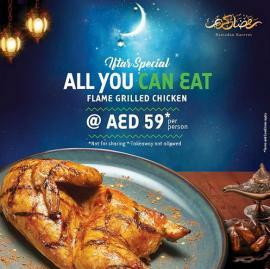 Starting at AED 65 per person. 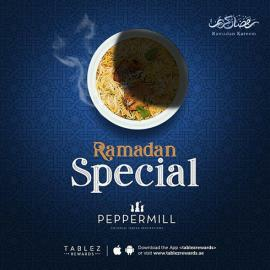 Peppermill's IFTAR Specials. 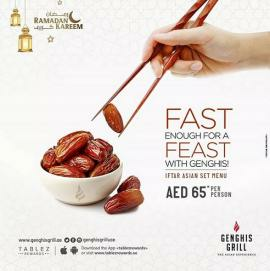 Starting AED 65 per person. Papa John's Pizza - Everything at Half Price. Customer Appreciation Days. November 19, 20, 21, 22. 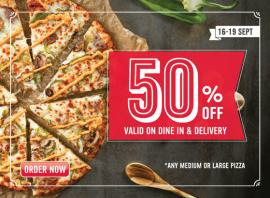 Valid on dine in and take away only. 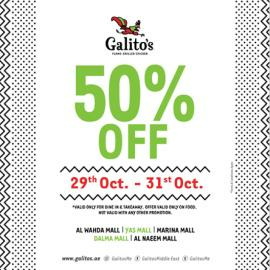 50% Off at Galito's. 29th Oct - 31st Oct. 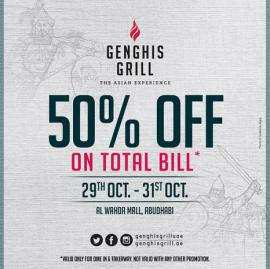 Valid only for dine in & takeaway. 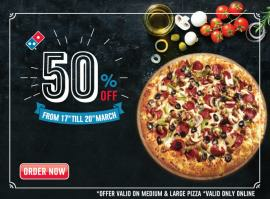 Offer valid only on food. T&C apply. Papa John's Pizza - Everything at Half Price. Customer Appreciation Days. September 17, 18, 19, 20. 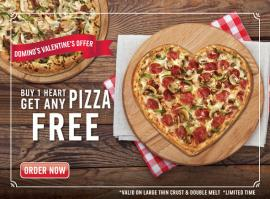 Valid on dine in and take away only. 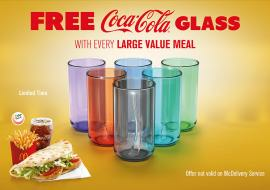 McDonald's - Free Coca Cola glass with every Large Value Meal. Offer not valid on McDelivery service. 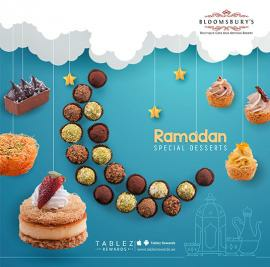 Kenny Rogers Roasters - Ramadan Kareem. 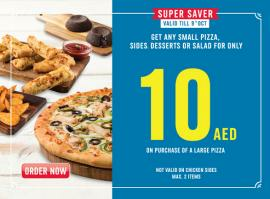 Iftar offer. 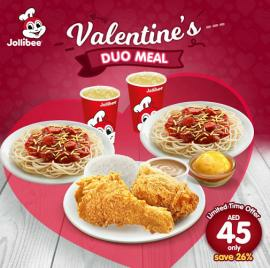 Popeyes - Buy 1 Get 1 Free offer. 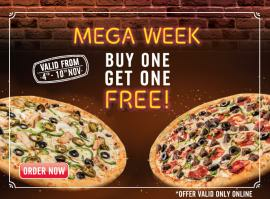 This offer is valid on Sunday & Monday only. 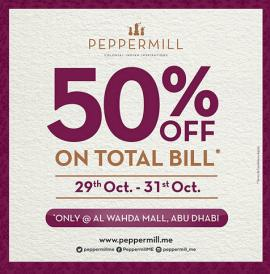 Valid at all outlets except Marina Mall Abu Dhabi. 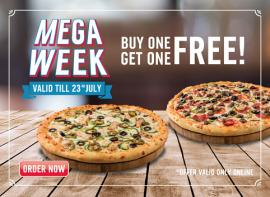 Pizza Hut - Ramadan Weekday Offers. Buy one get one free. 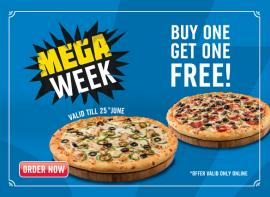 Offer valid from 4th to 7th June only. 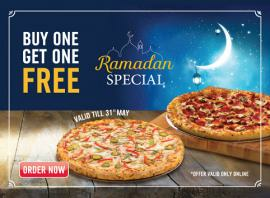 Pizza Hut - Ramadan Weekday Offers. Buy one get one free. 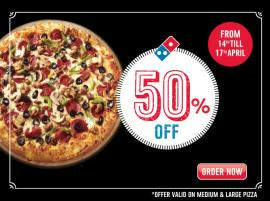 Offer valid from 27th to 31st May only. 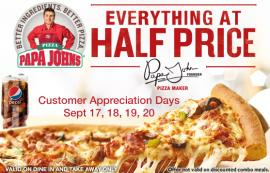 Papa John's Pizza - Everything at Half Price. Customer Appreciation Days. May 21, 22, 23, 24. 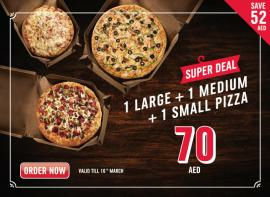 Valid on dine in and take away only. Dairy Queen - FREE Cone Day. Monday May 1st. 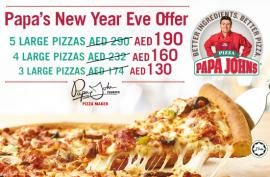 Papa John's Pizza - New Year Eve Offer. Available for dine-in, takeaway and delivery. 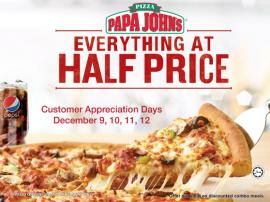 Valid on December 31st only. 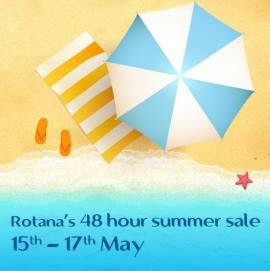 TomatoSALE brings to you list of information about best deals, offers & discounts in food & beverages in Dubai, Abu Dhabi, Sharjah and all over UAE. Get coupons for the best restaurants and cafes. Be the first one to know and avail the coupons easily. TomatoSALE brings to you best deals, offers, discount coupons & more in food & beverage section such as restaurants, cafes, snacks bars, lounges, bars, hotels and more in Dubai, Abu Dhabi, Sharjah and all over UAE. 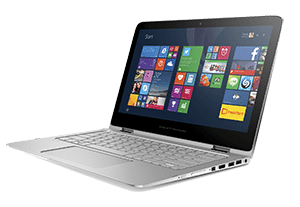 Just log on to TomatoSALE and get a comprehensive list of deals & offers to choose from. Get spoiled for choice. 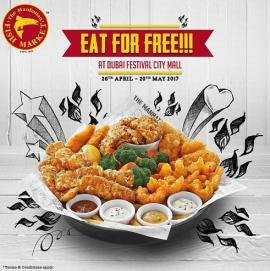 Enjoy and have a great time with friends & family with best deals on buffets and dinner coupons. Get to know firsthand and grab the opportunity quickly.